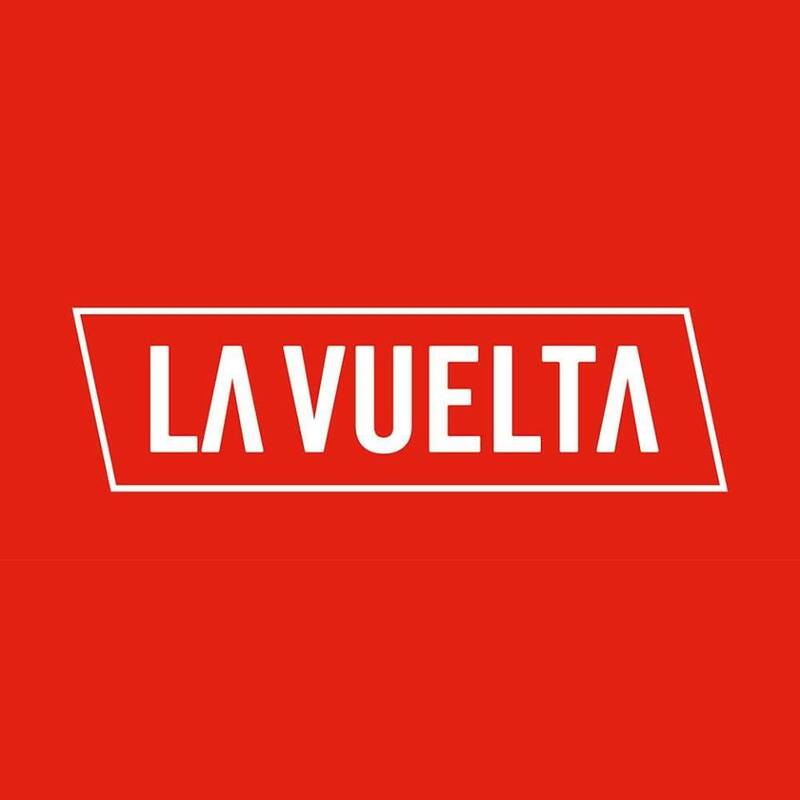 La Vuelta Preview with Cycling Betting | Look mum no hands! La Vuelta starts in Nimes in France this year and it spends its first three days on foreign soil, before finally entering Spain on stage 4. It’s only the third time in the race’s history that it will start outside Spain and the first time it starts in France. The race starts with a 13.8km Team Time Trial in Nimes on Saturday but we are sure to see the first shake-up on the GC on stages 3 with a mountainous stage in Andorra and 5 with the first of 9 summit finishes of the race at Alcossebre. It's an interesting route this year with some incredibly hard climbs along the way, but it actually has less summit finishes than last year's ten, and the 40km time trial in the third week could still play a major part in this race, despite all the climbing. The 21 stages sees them cover 3,324kms and go over a total of 50 climbs in all. It was a real Colombian affair in this race last year as Colombian riders held the red jersey for 17 of the 21 stages, with Darwin Atapuma taking the lead of the race between stages 4 to 7 and Nairo Quintana taking it on stage 8. Quintana put the race to bed on stage 15 with an audacious attack that left Team Sky floundering, he put 2'37" in to Chris Froome that day and the race was as good as over. Froome did rally in the last week to pull back the lead to just 1'21", but that was as close as he got, and Nairo Quintana put a disappointing Tour de France behind him to take the victory. Stage 1 - The Vuelta opens once again with a team time trial, a tradition that has been going since 2010 now. It's completely flat, but half the distance of last year's opening TTT won by Team Sky by hundreths of a second from Movistar.. Will they be able to repeat that with Chris Froome driving them on again? Stage 2 is a 201km run through the flatlands of France to Gruissan, should be the first sprint of the race. Stage 3 takes them in to Andorra and looks like a day for the break with two Cat 1s and a Cat 2 sure to tempt out some of those looking to win the KOM competition. Stage 4 takes them in to Spain finally, but it's a boring looking stage with a sprint finish. Stage 5 is finally where it starts to get interesting from a GC point of view, it's a lumpy stage with two Cat 3s and two Cat 2s, but finishes with the uphill pull to Alcossebre which averages a nasty 9.7% for 3.4kms. Stage 6 has five little categorised climbs along the way but could well end in a reduced bunch sprint, and Stage 7, despite it being a lumpy, bumpy affair of over 200kms, should probably end in a bunch sprint too, but the Cat 3 climb just 9kms from the finish might well shake things up. Stage 8 to Xorret de Cati is one stage that could almost be called a summit finish, with the nasty Cat 1 climb at the finish, but as it tops out with 2kms to go, it doesn't quite get the billing of 'summit finish'. It is sure to cause some more movement in the GC though. Stage 9 is flat more or less for 170kms, bar the Cat 2 climb which comes with 130kms gone, but then they hit the final pull up to Cumbre Del Sol, a really horrible finish which average 8.9% for 4.1kms. Stage 10 brings them back after the rest day and it's a strange stage that is descending for the first 100kms, and then suddenly the Cat 1 Collado Bermejo rises up out of the ground and they cross the top of it with just over 32kms to go, of which the last 10kms are on the flat. Stage 13 is flattish and boring and should be a bunch sprint, Stage 14 and Stage 15 could be two of the most important stage of the race, coming deep in to the second week. Stage 14 is uphill practically all day and finishes on the first Especialle Climb (ES) of this year's Veulta at Sierra De La Pandera. And if that wasn't enough, stage 15 finishes with the 27km ES climb to Sierra Nevada, which averages 5.8%, but has some really steep parts along the way. If you're on a bad day on either of these two days you could lose a lot of time.. Stage 18 looks like a possible break day again, coming on the back of the brutal climb to Los Machucos and even though it says it's a summit finish, it only climbs to 500m and is a Cat 3 climb, so it's not that hard. Stage 19 is a shortish stage at 153kms and looks like one that will probably end in a sprint, but at this late point in the race, and with the final TT the next day, you'd give the break a good chance too. And Stage 21 is the usual procession stage in to Madrid - it's short at just 102kms, they should be sprinting in Madrid some 2 1/2 hours later. 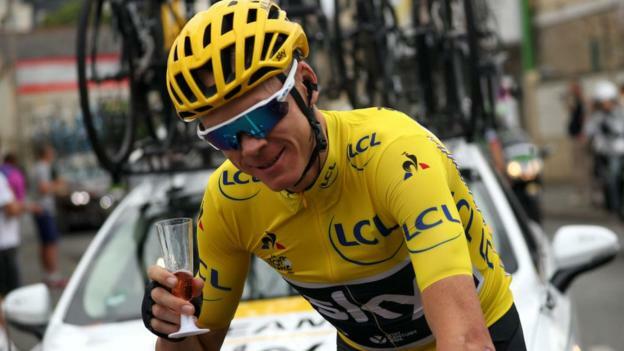 Chris Froome comes here on the back of his fourth Tour de France victory, looking to become the first man since Bernard Hinault in 1978 to win the Tour-Vuelta double. When Hinault achieved that feat he won the Vuelta at his first attempt and took seven stages along the way, and then followed that by winning the Tour de France at his first attempt too. That was when the Vuelta was run in April/May, but no-one has achieved the double since it moved to its slot in August/September, but Froome has been runner-up no fewer than three times in the Vuelta. He had a mixed Tour de France, where he looked under pressure at times, and looked vulnerable to a big move that never actually came. He hung in there after taking a lot of time off his key rivals in the first TT and polished it off with another good TT ride on the penultimate stage. But in between his performances in the mountains weren’t up to his usual high standards and he lost time to his rivals. He survived mechanicals and punctures and he and Sky just rode a steady race that killed off the opposition by suffocation. Vincenzo Nibali skipped the Tour this year to concentrate on the Giro, and he rode very well, but was just not strong enough to beat Tom Dumoulin. After finishing in the main GC group on Etna on stage 4, he was never lower than 5th, and managed to move up to 3rd on stage 16 and 2nd on stage 19. Dumoulin leapfrogged from 4th to 1st in the final TT and pushed Nibali down to 3rd overall behind Quintana. Winner of the Vuelta in 2010, 2nd in 2013, 7th in 2011, disqualified in 2015 for taking a tow from his car, he’s had a love-hate relationship with this race. He comes here fresh after skipping the Tour and had an easy warm up for the Vuelta in the Tour de Pologne. He will enjoy all the climbing, but maybe not the really steep climbs, and he won’t exactly excel in the time trials, but he is sure to be one of Froome’s closest challengers. Alberto Contador comes for one last hurrah at the Vuelta, on the back of a decent showing at the Tour where he finished in 9th place, pulling off some exciting attacks and finishing well with 6th place in the final TT. I think it might be too much of a fairytale for him to shine in this Vuelta, he struggled at times in this year’s Tour. Ilnur Zakarin finished 5th in the Giro, finishing 2nd on three separate stages, but his other stage races this year don't suggest he's going to be breaking on to the podium here.. But he seems to reserve his best for big races like this and he could be a protagonist too. Miguel Angel Lopez will be an exciting one to watch, but owing to injury he's only raced 19 days so far this year, but he did win the Tour of Austria, taking a fine stage win along the way, and 2nd place in the prologue, and just recently he returned to action in the Vuelta a Burgos where he won the final stage and finished 4th overall. 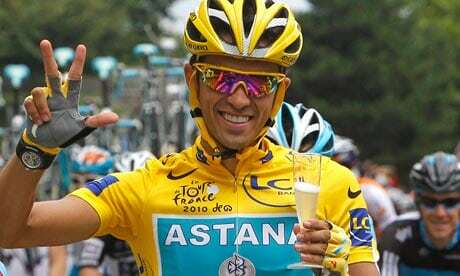 He’s part of a two-prong attack from Astana, with Fabio Aru the other who could have a big say in this race, he is a former winner after all, back in 2015. Johan Esteban Chaves had a torrid time in the Tour, coming back from injury also, but the longer-term plan was always the Vuelta, where he has gone very well in the past, finishing 5th in 2015 and 3rd last year. 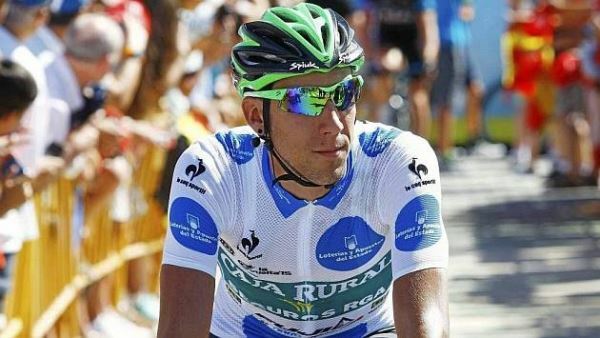 He’s joined by the brothers Adam and Simon Yates who also could go very well and could help land Orica-Scott the team classification at 5/4. And the depth of talent goes on and on in this race - Rafal Majka, Wilko Kelderman, Marc Soler, Steven Kruijswijk, Domenico Pozzovivo, Romain Bardet, Woet Poels, Tejay Van Garderen, David de la Cruz, - they all should be prominent and possibly capable of top tens, and may take stages along the way too. But it’s hard to see past Chris Froome from landing his first Vuelta I think. He has a very strong team here, will do fine on most of the mountain stages and will destroy them all in the TT. I also think Steven Kruijswijk will surprise a few at a big looking 40/1 and David de la Cruz could be the wild outsider at 100/1. Omar Fraile looks a good thing to land his third King of the Mountains title in a row, but there’s not a whole lot of value in him at just 11/4, Alexandre Geniez at 28/1 might be an interesting one at a much bigger price. And the Points competition could be literally won by anyone, from Chris Froome, who is 7/2 favourite, to some of the puncheurs like Alaphilippe or the few sprinters in the race like John Degenkolb. I like Matteo Trentin as a bit of an outsider at 16/1, he might go well in a lot of these stages. It’s live every day on Eurosport and our big screen at 49 Old St.
Catch highlights from 7-8pm at our London Bridge Pop-up. We're watching Stage 15 of La Vuelta LIVE on the big screen at 49 Old St.
We're watching Stage 12 of La Vuelta LIVE on the big screen at 49 Old St.
We're watching Stage 10 of La Vuelta LIVE on the big screen at 49 Old St.
We're watching Stage 7 of La Vuelta LIVE on the big screen at 49 Old St.
We're watching Stage 13 of La Vuelta LIVE on the big screen at 49 Old St.
We're watching Stage 8 of La Vuelta LIVE on the big screen at 49 Old St.
We're watching Stage 14 of La Vuelta LIVE on the big screen at 49 Old St.